3156 - Photo: Nigel Petre Collection. 0592 - Photo: The Jack Faithfull collection (RCTS). 3155 - Photo: Nigel Petre Collection. 0591 - Photo: The Jack Faithfull collection (RCTS). 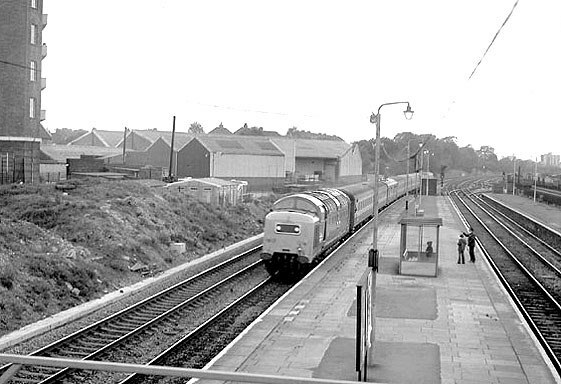 ..."MELD" returns through Acton Main Line on the return journey from Cardiff to London Paddington. 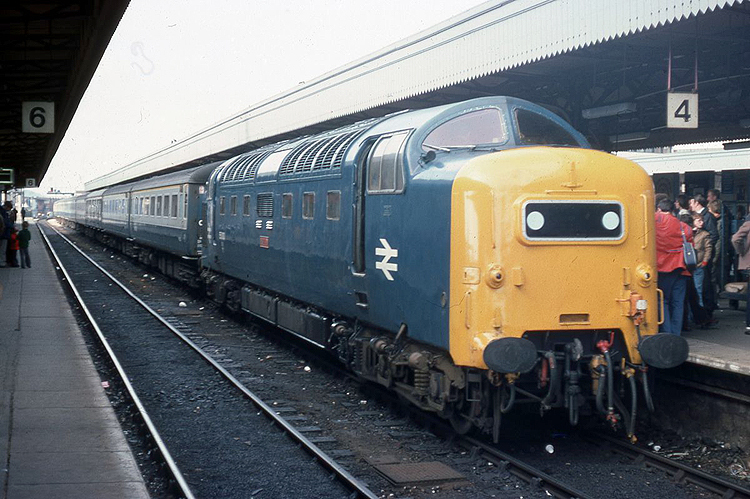 12/10/75 - 1Zxx Paddington - Cardiff, RPPR "Deltic Dragon" railtour. 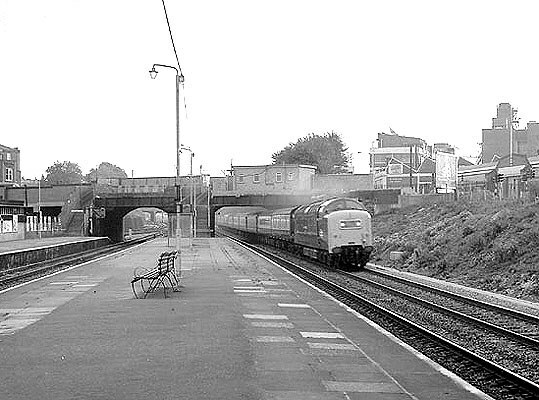 Power of the Deltics: Plate 132. 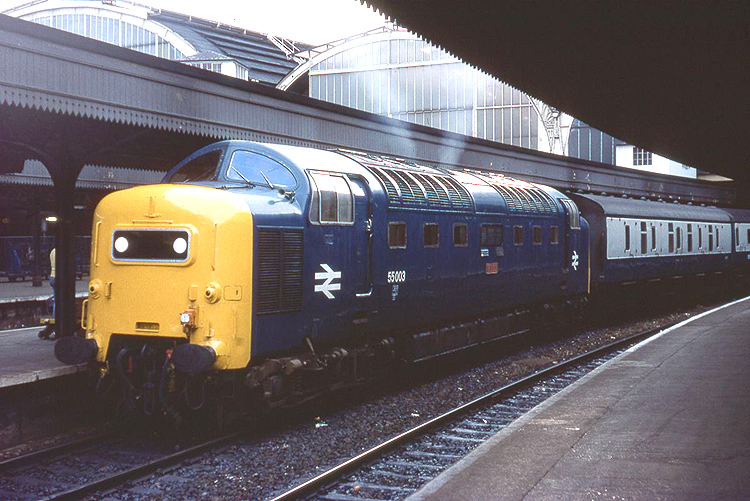 12/10/75 - 1Zxx Cardiff - Paddington. The Deltics - A Symposium (2nd edition): section 3.